You are here: Home / Blog / Gift Guide from Home based Entrepreneurs like you! 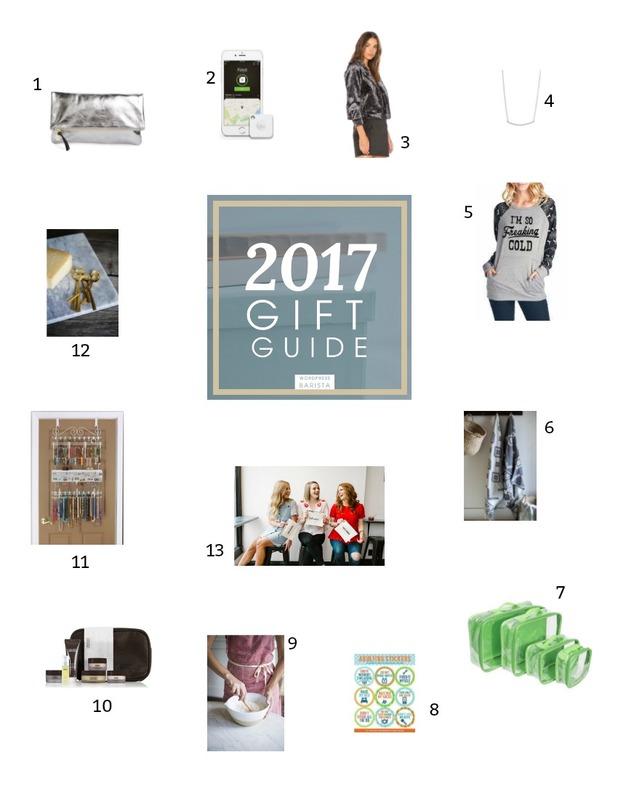 Gift Guide from Home based Entrepreneurs like you! 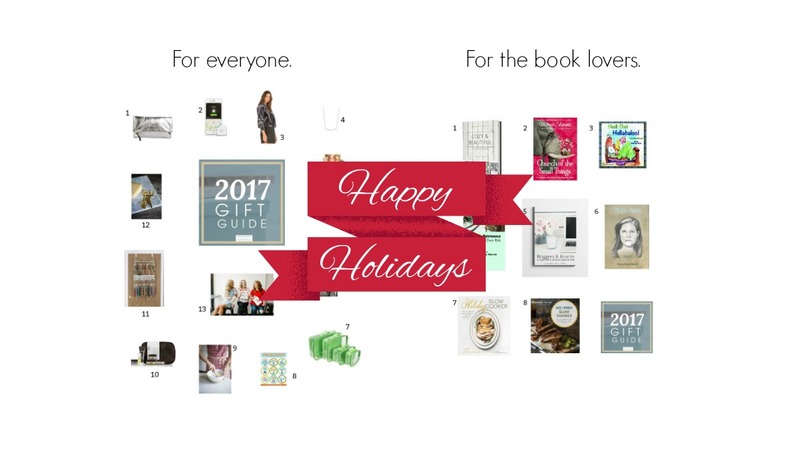 The only question is which holiday gift guide first! Clutch – This silver clutch is the perfect bag for day AND night! I adore the silver shade, it’s the perfect accessory to bring any look to the next level! Tile Mate – This brilliant Bluetooth tracker attaches to your keychain or any other device you don’t want to lose so you can find it fast if you do. It can even make your phone ring on silent! This is one of the hottest gifts of the season. Velvet Moto Jacket – This is the ultimate cool-girl gift, this jacket is so edgy and on trend and you won’t believe the price! Necklace – This silver necklace is so simple yet so incredibly chic, it literally matches everything and the price point is amazing! “I’m Freaking Cold” Sweatshirt ​- If you’re always cold like me, or if you live in somewhere like, um, Canada, then this is the sweatshirt you need. Tribal Turkish Towel – Hand loomed Turkish hamam towels are made using traditional methods so that each one is unique and small imperfections are part of their character and beauty. Turkish towels are light weight, fast drying and compact making them perfect for the beach, bath or travel. EZ Packing Cubes – These packing cubes are so well made and make packing a suitcase a lot more organized and fun. I love that they are made of a clear plastic so you can easily see what’s inside. They also come in a variety of colors so each family member can have their own color which is especially helpful when sharing a suitcase. “Adulting” Stickers – ​These stickers are perfect for stuffing the stocking of your favorite millennial. Grand Apron – With thoughtful details like unlacquered brass rivets and four waist-level compartments to keep all of your necessities close at hand, these aprons are such a pleasure to wear you might be tempted to leave the house in them. Colleen Rothschild Discovery Kit – This is not only the perfect way to try Colleen’s amazing skincare, it’s also the PERFECT travel kit. I love to try new lines, but I always come to back to Colleen because her products work. Longstem Jewelry Organizer – I’ve been using this jewelry organizer on the back of my bedroom door for over two years now and absolutely love it. The amount of jewelry you can organize all in ONE place is incredible. It always makes sense to have like items stored together so you know exactly what you have. Plus no more tangled jewelry! Nagasaki Coffee Spoons – quirky yet glamorous Nagasaki Coffee Spoons (6 Piece Set) were inspired by traditional Japanese shapes. Perfect for entertaining or decoration. 42 & Pine – Cute canvas pouches for your every need. And by every need we mean, to hold all those lipsticks you have floating at the bottom of your purse. Cozy and Beautiful – Cozy and Beautiful is the how to decorate handbook for non-decorators. Learn the simple step-by-step method for decorating your home the easy way. Ditch your fear of decorating failure and finally decorate your home! Church of the Small Things – What if it’s the little things that make a BIG difference? New York Times bestselling author, Melanie Shankle offers hilarious reflections on being a mom, wife, and writer. She helps us embrace a meaningful life as we find the beauty and laughter that lie right beneath the surface of every ordinary, incredible day. Hush That Hullabaloo – is a rollicking, rhyming read-aloud set in Scotland. Best for ages 2 to 10. Written by Donna Marie Merritt, illustrated by Chris Demarest. No Winter Maintenance: Pass at Your Own Risk – is a collection of 60 poems of reflections and observations about society, human behavior, and the healing gift of nature. It is Donna Marie Merritt’s sixth book of poetry. Bloggers and Brands – Working with brands is a great way to earn income from your blog and social media accounts. But where do you start? In Blogger’s and Brands, you’ll learn the actionable steps, tools and techniques that you need to build relationships with brands you love. Working with brands can seem complicated. Let’s make it easy! We Walk Together – is a chapbook of 22 poems, described as “drops of conscience.” Donna Marie Merritt explores the world through the eyes of others, including those dealing with homelessness, addiction, mental illness, and poverty. The Holiday Slow Cooker Cookbook – will help Make your holiday meals Merry, Memorable and Easy! Create fantastic feasts, entrees, side dishes and desserts while freeing up room in your oven, and take the stress out of holiday cooking with your kitchen’s secret weapon; the slow cooker. 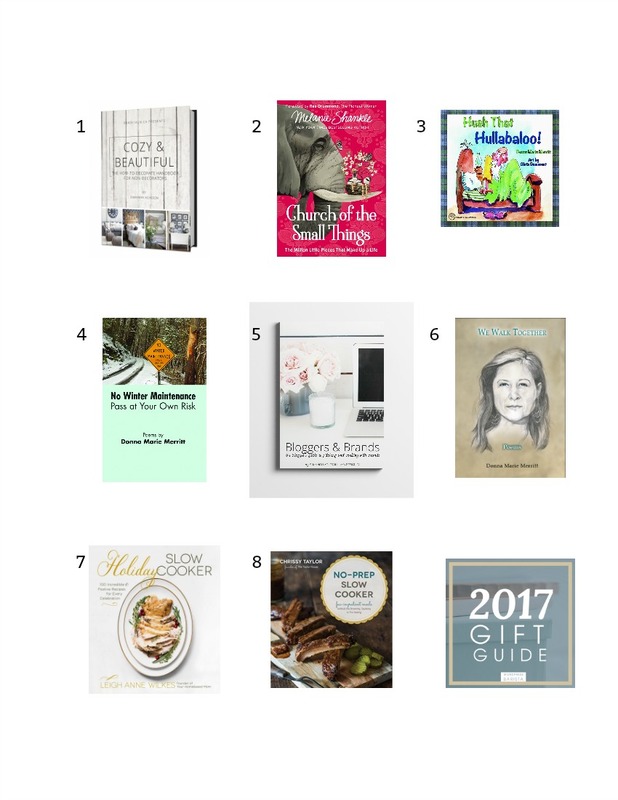 No-Prep Slow Cooker Cookbook – This special and unique collection of 100 slow cooker recipes features traditionally-based recipes with a twist, taken up a notch thanks to surprising flavor additions and using different spices, with no browning or prep needed!